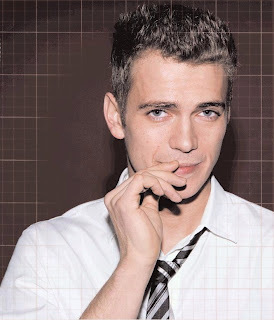 Hayden Christensen had me the moment he started masturbating while simultaneously inhaling paint fumes from a plastic bag and hanging himself from a noose. (Once again, I am not kidding. See: Life as a House.) So despite the warnings of many friends, I went to see Jumper—simply because I was assured that there would be two scenes in which Mr. Christensen takes off his shirt. Well, he does indeed bare his chest (briefly), but, as for the movie, well, if only I had the power to jump from shirtless shot to shirtless shot, I would've been home hours ago to spank it. But now I'm too tired—when I shake my head in narrative disdain too much, it simply wears me out. Thank you, and good night.